I was out for a short swim this morning listening to the whales singing when I also started hearing dolphin noises. 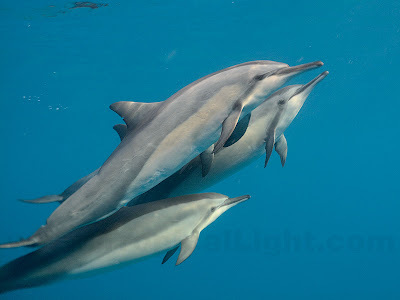 And then I was surrounded by 36 playful Spinner Dolphins. They dove and spun and circled around me over and over before heading off into the blue. What a great morning! Click HERE or Below for today's video. Hi Don! 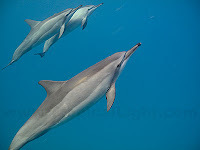 We are so loving the photos of the whales and dolphins. You are so blessed to spend time with them and you bless us with such awesome and beautiful photos. We look forward to seeing your blog everyday!